In a very fortuitous way indeed, from my academic research at Bristol University through to my work here at Malvern, I have managed to maintain a connection with the brilliant work of Sir Geoffrey Ingram Taylor (1886-1975) – who has quite rightly been described as ‘one of the most notable scientists of the 20th century’ . It’s quite probable that many workers will have come across some important contribution from Taylor in their line of research, but may not realize that his work extended over a wide range of fundamental research fields, and for which his ideas and contributions were (and often still are) scientifically-leading. As a mathematician who considered the interplay between theory and experiment to be vital in his working methodology, Taylor was a hugely influential and leading figure in wave theory, solid mechanics and fluid dynamics – in particular for understanding turbulent flows. Drawing on his experience and learning in these research fields, Taylor also published on subjects as diverse as blast waves from explosions, peeling adhesive tapes from surfaces, swimming snakes, and even boat anchor design. My first contact with Taylor’s work was during my PhD studies at Bristol University under the inspiring tutelage of Dr. Jeff Odell, looking at how flexible polymer molecules deform in strong extensional flows. In the 1930’s, Taylor had invented the four-roll mill device – a set of four parallel cylinders arranged in a square, which counter-rotate at constant angular velocity about fixed axes. The key aspect of the flow field developed in this apparatus is a central plane which is a pure stretching flow – and Taylor was using the device to look at the deformation of emulsion droplets in solution – a beautifully crafted experiment. The Bristol Polymer Physics group had been working with smaller-scale four-roll mills that could stretch out high molecular weight polymers in solution, and there were several of these devices around the laboratories. I remember being struck by the elegant symmetry and simplicity of Taylor’s four-roll mill concept – which was further accentuated by the craftsmanship from the expert technicians in the Physics Workshop that had gone into making the intricate mechanical assembly. I wish I still had an example to use as desk art to be honest! Anyone who has used a rotational rheometer will be familiar with the concentric cylinder, or couette geometry, which is commonly used for measuring relatively low viscosity polymer solutions or complex fluids. I certainly was having joined Malvern and taken a job as Product Manager for rheometer systems. Measuring rheological properties at too high an angular velocity with this geometry can cause the flow field to break down. Published in 1923, one of Taylor’s seminal papers was on the stability of couette flow, and the conditions beyond which flow instabilities – or Taylor vortices – set in. Taylor’s work was particularly notable in that it included extraordinary technical detail for both theoretical and experimental elements, and the results from each were in striking agreement – a failure of all previous work in this area. Some of the complex mathematical formulas derived for instability thresholds for cylinders of arbitrary radii run to about a page long – presenting a significant challenge at the time to calculate! Couette geometries in use on Malvern’s Kinexus rheometer for example have optimised dimensions that relate back to Taylor’s work. My current role in Malvern encompasses innovation products for biopharmaceutical development – these are technologies that are new to the market and are aimed at providing novel or improved solutions for critical analytical aspects of protein-based materials that current technologies cannot meet. The Viscosizer TD is based around Taylor Dispersion Analysis – and yes, that’s the same G.I. Taylor. 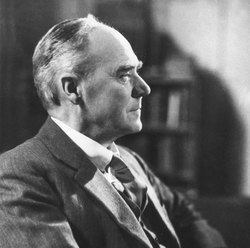 Work published in a 1953 paper arose from Taylor being asked for help in understanding the dispersion of drugs in blood vessels – for which Taylor analysed the problem of solute molecules dispersing over time in a circular pipe under laminar flow. 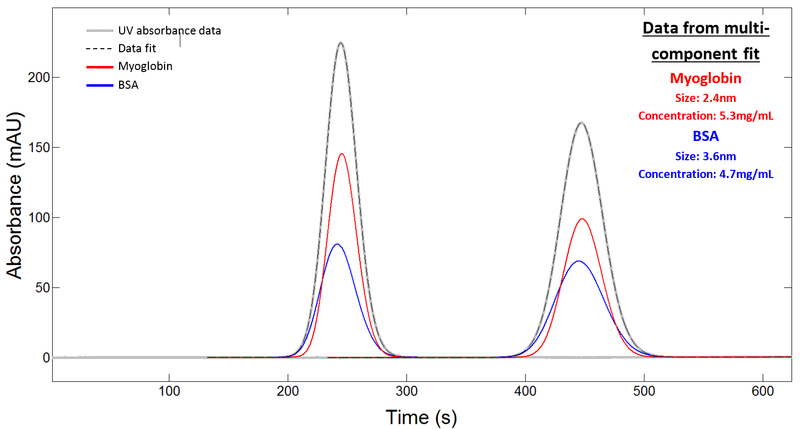 Taylor showed that the spread of an injected pulse of solute molecules under these conditions ultimately dispersed to a Gaussian distribution profile – a resultant symmetry that is not immediately obvious, but is due to radial diffusion of the molecules counteracting longitudinal dispersion arising from the cross-sectional velocity gradient. The width of the Gaussian distribution is related to the molecular diffusion coefficient, from which the size of the molecule in solution (hydrodynamic radius, Rh) can be determined. What’s really exciting for us at Malvern is the combination of Taylor Dispersion with UV detection that enables a mass-weighted, high resolution sizing technique for protein-based molecules in complex solutions. Viscosizer TD goes beyond the capabilities of current solution-based size measurement techniques in that it can ‘see’ into aggregated mixtures and resolve both the primary protein molecule and higher aggregates. We presented some preliminary data at The Bioprocessing Summit (Boston, August 2015), and there will be more to come on from us these capabilities later! 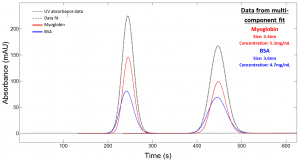 Taylor Dispersion Analysis data (using twin window detection) for a 50:50 mixture of Myoglobin (Rh 2.1nm; concentration 5mg/ml) and BSA (Rh 3.6nm; concentration 5mg/ml) – a mixture of molecular sizes which replicates typical protein monomer and dimer species, and shows the capability of Taylor Dispersion Analysis with UV detection to resolve and quantify the components in the mixture. For anyone wanting to know more about Taylor’s life and work, I have added some references below [1-3]. Alternatively, if you want a demo of either a Kinexus rheometer or the Viscosizer TD, we’d be very happy to accommodate, and show you exactly the influence that Sir Geoffrey Ingram Taylor continues to have on our 21st century scientific instrumentation.